As the weather struggles between cooler evenings and humid nights, silk bedding keeps you at an even temperature all night long. Tossing and turning throughout the night is no fun and with the typical British Summer we’re having of sunshine one day and humid thunderstorms the next, it’s a common problem. Snuggling up under even a light summer weight duvet can leave us boiling up in the early hours. This is where a silk duvet is a godsend as it’s naturally thermostatic, absorbing as much as 30% of its weight in moisture without feeling damp. In fact the higher the moisture, the cooler it appears to the body. Silkwood Silk are the original suppliers of fine silk bedding, providing beautifully soft and lightweight pillows, duvets, blankets and bed linen cases made from 100% silk. 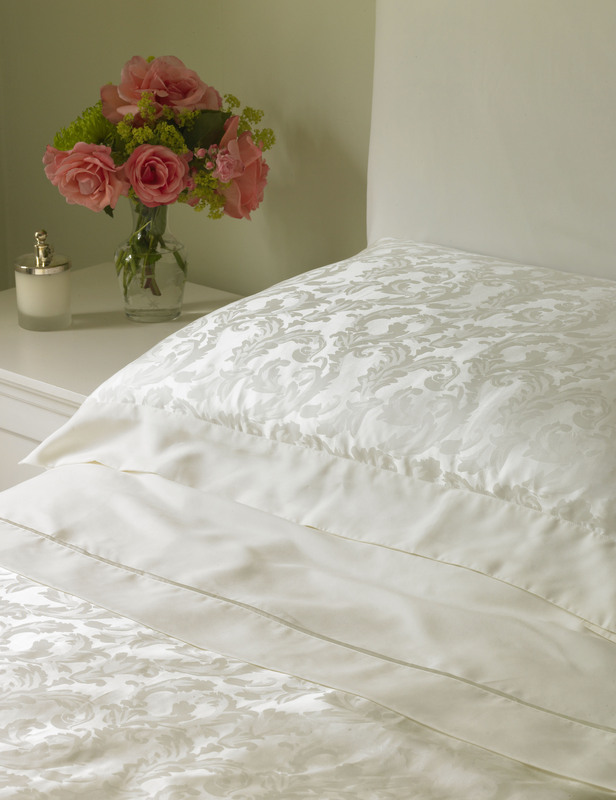 Available in plain or jacquard, bedding from Silkwood Silk makes a luxurious addition to any bedroom and starts from £27.50 for a plain Habotai silk pillowcase, or £49.50 for a pair. Produced from the Silk Worm’s thread, silk bedding is the original eco-friendly option. All of the bedding is completely free from chemicals or man-made fibres, which can be a problem for allergy sufferers. Silk does not accommodate dust or house mites ensuring a healthy nights sleep too. This press release was distributed by ResponseSource Press Release Wire on behalf of Atom Media & PR in the following categories: Health, Home & Garden, Women's Interest & Beauty, for more information visit https://pressreleasewire.responsesource.com/about.